friends and family. Experience elevated shopping experience with the augmented reality feature in the Apollo Box App. Browse and interact with virtual 3D products in your real environment before you buy. 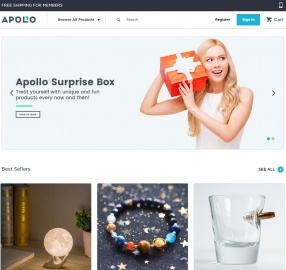 Click a Coupon or click Start Shopping to earn Up to 4% Cash Back at Apollo Box.